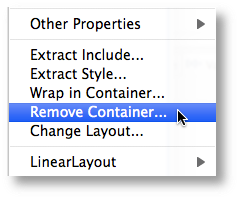 There's a new visual refactoring in the latest builds: "Remove Container". This is the logical opposite of the "Wrap In" refactoring. 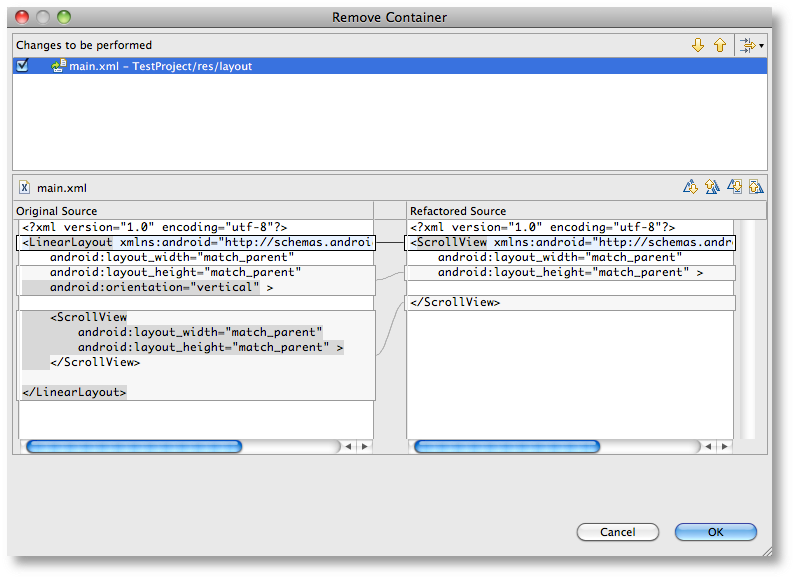 Where as "Wrap In" will surround the selected views with a new layout (and transfer layout and namespace attributes), the "Remove Container" will remove the given container such that its children are placed directly in the parent of the removed container. 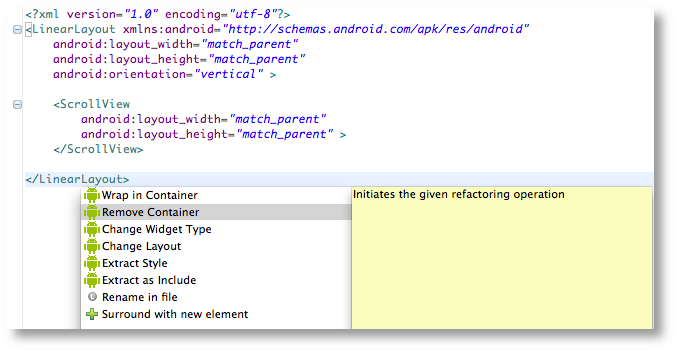 The refactoring will also reformat the affected XML, and that's now done for all the visual refactorings, not just this one.